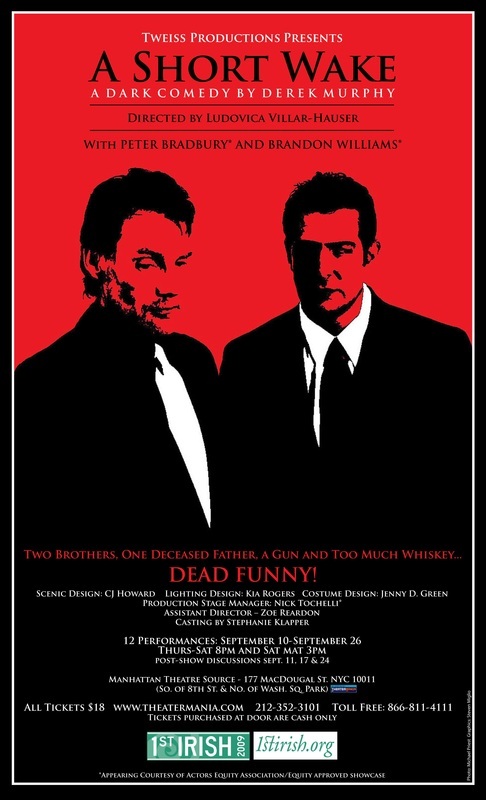 Two brothers, one deceased father, a gun, and too much whiskey. "Combine truly gifted actors, with fantastic direction from Ludovica Villar-Hauser and this amazing rich, darkly comedic dialogue, and you are left afterwards simply wanting to see it again. I thought the staging was great (I never saw the director’s hand, and so it goes in a well-directed piece)"
--The Fab Marquee review by Diánna Martin.